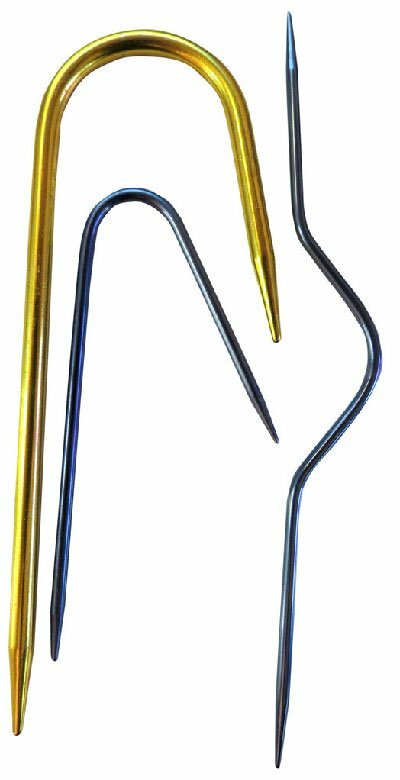 These cable stitch needles feature perfect points to help prevent yarn splitting while creating cables. Set of 3 includes needles: regular, bulky and straight. Boye-Metal Cable Needle Set. These cable stitch needles feature perfect points to help prevent yarn splitting while creating cables. This package contains three needles in regular (4-3/4 inches long), bulky ( 4-1/2 inches long) and straight (3 inches long).